Our day started out with some group time, talking and chatting it up with the other photographers who were attending the workshop. Getting to learn more about these women was a wonderful time. I loved hearing about their photography journeys and I loved sharing mine with them as well. It was also super fun trying to all squeeze into our AirB&B. Candice and I stayed at this perfect little house at the end of the main street in Boulder. It had the PERFECT bath tub and two cute bedrooms. Last year, I had the opportunity to attend The Blissful Maven's photography workshop in Boulder, Colorado. While I don't live in Boulder, I LOVED my time there and would happily travel back there for more sessions. Over the years of our friendship, I've always considered Candice a mentor to me. Not just for photography, but in a lot of my life. I love her and her heart and it was such a pleasure to be able to attend this workshop and assist her. As a Joshua Tree Couple's Photographer, I am always looking for inspiration. Whether it's in a location, the setting sun, or the couple themselves, my eyes are always open, always searching, always looking for that perfect equation to add up together. As a Twentynine Palms Birth photographer, I love looking back on my birth sessions over the years. This one in particular is a special one. All my birth's are special, I love every single one I get to be apart of. But baby Jason's story really had some unique moments that stuck out to me, and really hit me in the feels. As a Joshua Tree Maternity Photographer, I am always on the look out for a new, beautiful maternity dress to add to my maternity closet. I love being able to provide this service to my clients because I believe every mother-to-be deserves to feel at her most beautiful during her maternity session. For some moms, it's hard to find the right dress, the perfect dress for their photography session. So I love to have some options for them to choose from. I also choose dresses that I know will photograph beautifully. I think we know by now how much I LOVE being a Twentynine Palms Fresh 48 Photographer. I was so excited when Lacey and Chris asked me to be apart of these first bonding moments between them and their son, Declan. Their story is definitely an adventurous one. I ADORE being a Twentynine Palms Family Photographer. I love getting to capture families interacting together, being their unique dynamic together. I love being able to provide my families with memories that will last them a lifetime. I will forever be grateful for photographers who put their trust in me to capture their memories. 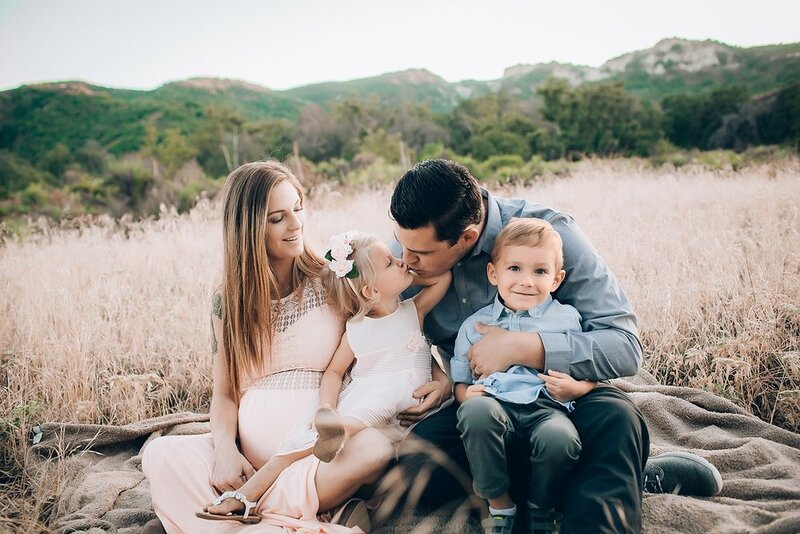 As a Joshua Tree Maternity Photographer, it's so important for me to a relationship with my clients. I love getting to know them and their story. It helps me bring out the uniqueness that is their connection.